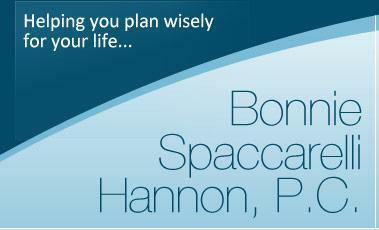 The law offices of Bonnie Spaccarelli Hannon, P.C., offers personalized legal counsel and representation to Illinois residents seeking guidance as they plan for future life events. Schedule a one-on-one consultation with Attorney Bonnie Hannon regarding any of the following legal issues through this Web site or by phone. As the advocate for an elderly person, Attorney Hannon takes great care to explain the consequences of actions such as the establishment of trusts in confidentiality with that client. At the same time, her background in juvenile law and family law has given her skills that are useful for communicating clearly and effectively with family members who seek counsel together. Gifting is a large part of comprehensive Medicaid planning for most people contemplating the possibility of the need for long-term care. Powers of attorney are another important aspect of Medicaid planning. To begin or continue a meaningful dialog with an experienced Illinois Medicaid planning lawyer, contact the law offices of Bonnie Spaccarelli Hannon, P.C. Attorney Bonnie Spaccarelli Hannon advises clients that anyone with children, with a spouse, or with significant assets of any kind should have a legal will. A properly executed will eliminates the need to buy probate bonds to insure the executor of an estate. Through thoughtful estate planning involving revocable or irrevocable trusts, probate expenses may, in fact, be avoided or reduced. Whether you need a Schaumberg probate attorney, or an probate attorney in Cook County, Lake County, or McHenry County, attorney Hannon can assist you. A simple will, a pour-over will, or a detailed will ensures that assets will be distributed according to your wishes – rather than the requirements of an Illinois statute -- after your death. A land trust designed to deal specifically with real estate may be an advisable component of a complete estate planning package that will meet your family’s needs. A living trust which can be changed, amended, or canceled in its entirety may help you achieve your goal of enabling your family to avoid probate altogether. Probate provides protection for both the personal representative of an estate and the decedent’s heirs and beneficiaries. Many families that may have been better served by going through probate find themselves embroiled in difficulty as a result of an attempt to avoid probate through trusts or other means. Although it is not required that a real estate purchaser or seller have a real estate attorney, it is highly advisable. No one will protect your interests at closing if you do not have your own legal advocate present. In many instances, the net effect of a 1031 exchange will be that you postpone paying capital gains tax indefinitely. Complete the contact form on the “Contact Us” page of this Web site, or phone the law offices of Bonnie Spaccarelli Hannon, P.C. 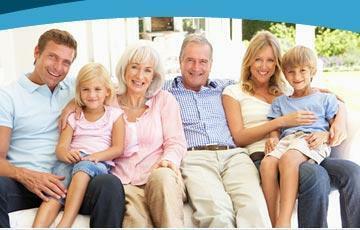 directly to schedule a consultation on any elder law, probate, guardianship, real estate, or estate planning matter.